So who loves FREE product? Who loves patterned paper? And who loves coloring? Did you raise your hand for all three? 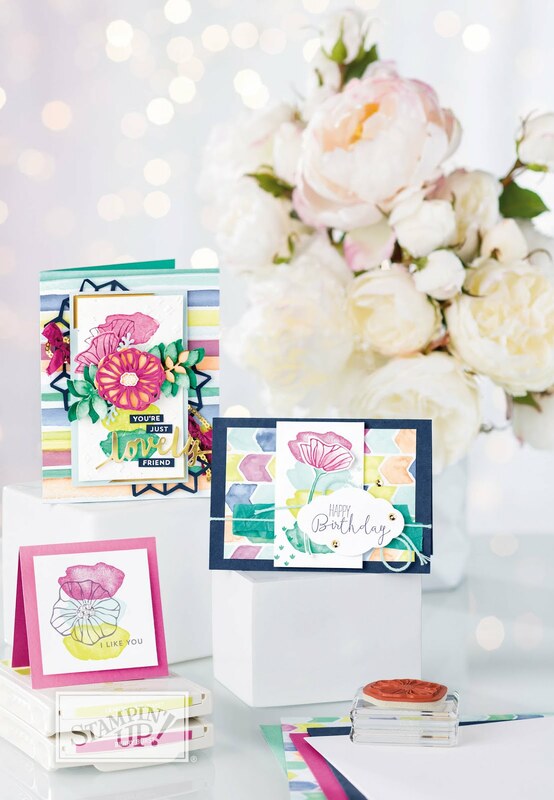 The Springtime Foils designer series paper is an item you can pick for free during the Sale A Bration event that ends this month. I used the Stampin' Blends to color this paper the flowers and leaves have raised foil outlines so it works really well in keeping the color in the lines. I believe that layers and more layers make a card POP! For the inside I used the stamp set Happy Wishes, also a FREE item with purchase. Well it's time to get back to crafting! Leave me a comment to let me know if you like the card. Pretty card. Love your style.